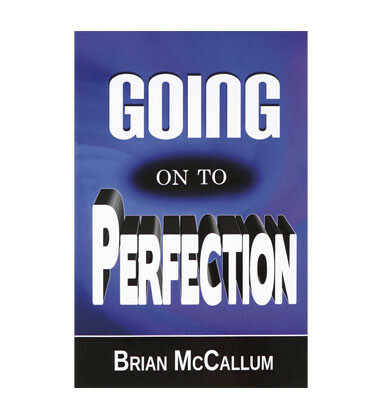 Going on to Perfection explores three of the six foundational principles listed in Hebrews 6:1–2. As we master these principles, we will move upward towards perfection in Christ. When Jesus returns, He will come for a bride without spot or wrinkle. But instead of getting ready and pressing into the deeper things of God, many Christians are apathetic. Instead of building strong lives on solid foundations, many are building weak, lopsided lives on crumbling foundations. In Going on to Perfection, Brian McCallum takes a scriptural look at what those crumbling foundations are and how to fix them. Based on Hebrews 6:1–2, he explores three of the six principles that make up the foundation of each believer. By clearly defining repentance from dead works, faith towards God, and eternal judgment, Rev. McCallum gently encourages readers to first master these foundational principles and then move upward towards the perfection Christ is looking for when He returns. What about you? How's your foundation?